Hey, we wear it. Now you can wear it too! Let your friends know where you go to get all of your favorite out-of-print vhs classics. You get ‘em at VHSPS, that’s where! 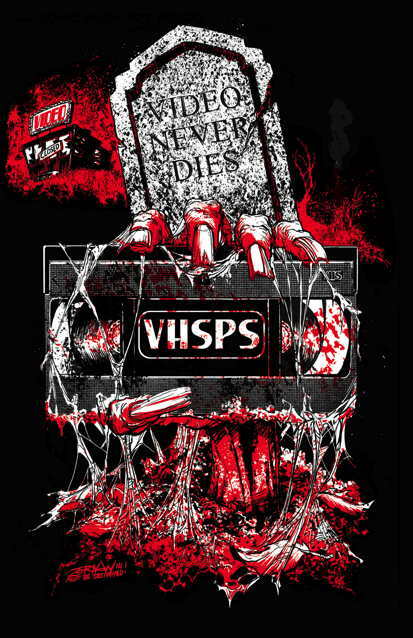 Now you can proudly show off you VHSPS pride with our new "Video Never Dies" Tee with original art by master horror artist Jeff Zornow. A plain black tee with nothing on the back and our white logo on a vhs tape in the grip of a ghoulish hand rising from the grave.